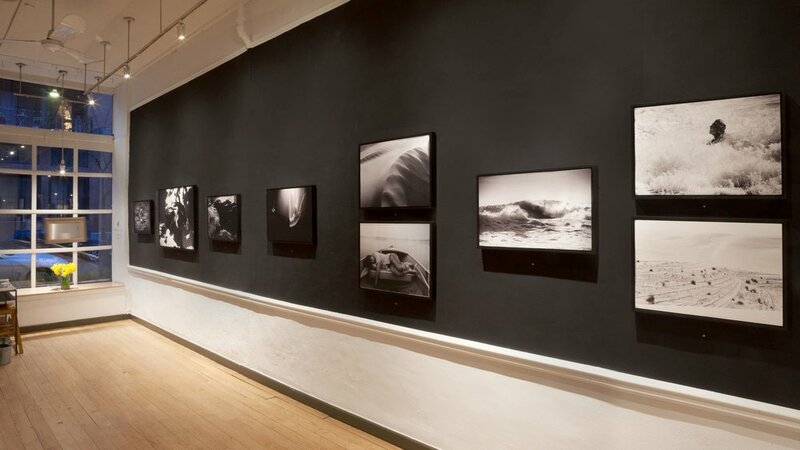 In his latest show, Benjamin Heller invites us to enter a poetic space of echo and convergence. As a photographer, sculptor, and performer, movement is key in this body of work, that is punctuated by self portraits selected from the series “The Long Walk: Analog Narratives”. This series features pieces collected over an extended period of time spent traveling. It is a window to the interior landscapes he seeks to find reflected in the world, to contain a sense of this intimate vastness. All of the images can be viewed as variations on a self-portrait. The linked titles form a continuum to this line of thought. The places of intimacy and sense of vastness contained in the photographs can convey a sense of transport that enhances the viewer’s visual experience. The "echoes" we find in the show reside in multiplicities of human and physical forms, rolling natural curves, and animals in flight; all intended to provide a resonance with the contours of earth, water, and wind. The result is an array of images captivating in themselves, but also given new meaning in the context of Robin Rice's skillful curatorial arrangement. Her intuitive placement creates a graphic narrative for the viewer to follow and decipher, further encouraged by the convergence of the poetic titles of the works. The invitational image is entitled “Fall,” a graceful figure, suspended in a glowing arc, light streaming upwards, eyes closed in rapture. This light sits in contrast to the infinite shadow of the black background, conjuring a certain atmosphere. Heller believes that it is shadows that allow the viewer to reside in the experience – this image does just that. These imagined environments speak to our converging lives and the echoed moments we experience, embodying for each viewer, just what Benjamin Heller connects with while photographing. Another view of self portraiture at the front sign in desk, is an image reading, “and the soul wanted to move,” between the keys of a typewriter. This show is a mirror of a desire to move. The Black and white images capture simultaneously this movement and stillness, asking us to pause between the natural forces that rise and fall. 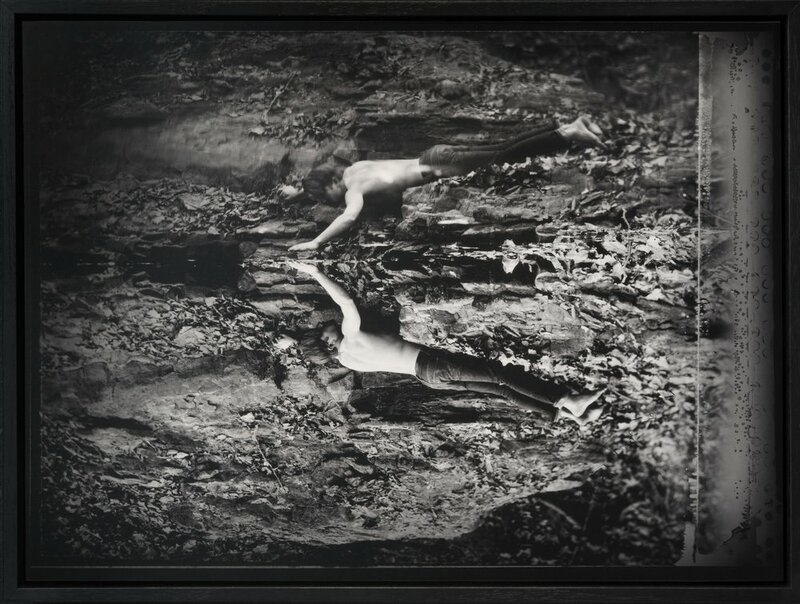 Heller employs multiple-exposure and a fixed 4x5 camera to set a stage for a female figure flowing across the moss and rock of a waterfall in “Reaching”. The cavernous rocks in the background contrast with the ghostly greys and whites of the body. She can be seen treading multiple positions along a serpentine path – thus the converging self, and a looking glass to enter the imagination. Traces of poetry, sculpture, the lines of the body, and lived experience are also evoked in Heller’s photographs, in movement and action. 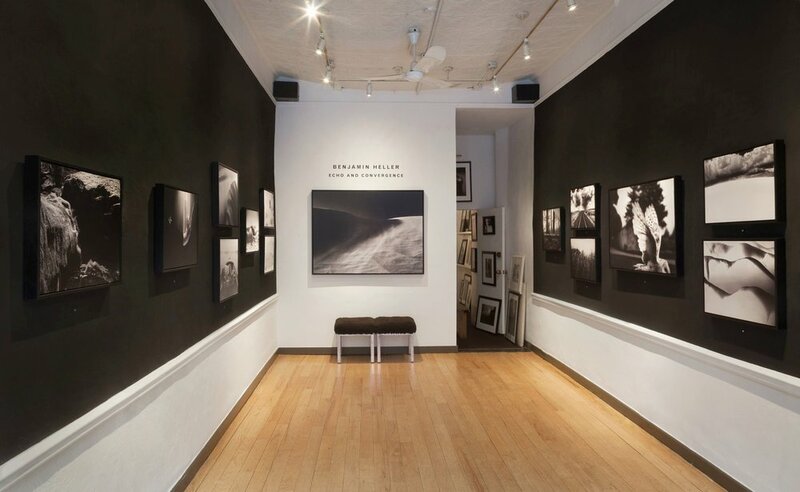 He also finds inspiration in photographer Duane Michals’ framing of expressionist narratives, and Sally Mann’s felt sense of powerful physical presence. 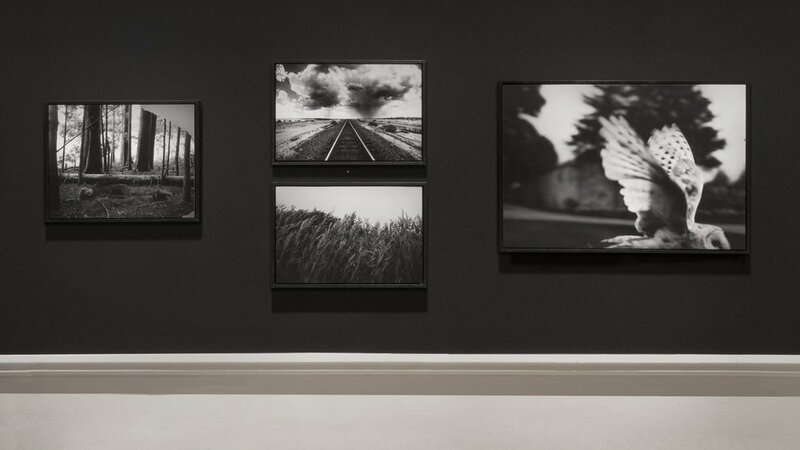 Photographer Miranda Penn Turin, in reviewing the exhibition, said “I can almost hear a soundtrack, and it's the sound of wind”.